We understand that whilst receiving a facial is a wonderfully relaxing experience, the most important factor is that you see a positive result. Most of us suffer from a variety of skin conditions: sensitivity, dehydration, ageing, sun damage ...these are just a few. In Jule we look to assess your skin and deliver the results that will keep your skin looking younger, fresher and beautifully hydrated. We carry a number of skin care brands to ensure we cover the most varied of clients needs. Image, Dermalogica and Epionce are known as cosmeceuticals. Cosmeceuticals are much stronger than any product which can be purchased in a department store. They need to be correctly administered to ensure that the skin is not 'over treated' - the results are instant. These products work at a cellular level to diminish fine lines, fade sun damage, increase hydration and stimulate cellular turnover for more youthful looking skin. For a more indulgent experience we have Yonka Paris. Yonka is a botanical based skin care range with essential oils which gives it the distinct aroma absolutely adored by its followers. Yonka users will swear by its properties for keeping skin young and blemish free. 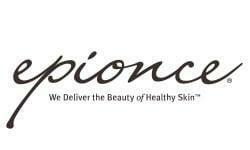 For those with skin sensitivity we recommend Epionce. This skincare range restores the power of your skin barrier. If you are only concerned with results and are happy to receive a more 'clinical' treatment go to our Skin Clinic page where you will find treatments which specifically focus on age reversal, red veins, sun spots and acne. Most Skincare products remain on the skin surface providing no real therapeutic benefit. The unique Epionce approach delivers a blend of active botanical ingredients to deeply penetrate the skin. This results in a stronger, healthier barrier that can help resist the effects of ageing to reveal smooth, more radiant skin. Double Cleanse (lotion, light steam and soft brush), purifying toner, enriched firming masque, application of Epionce Renewals eye/face and lip. Treatment concludes with Epionce SPF shield . 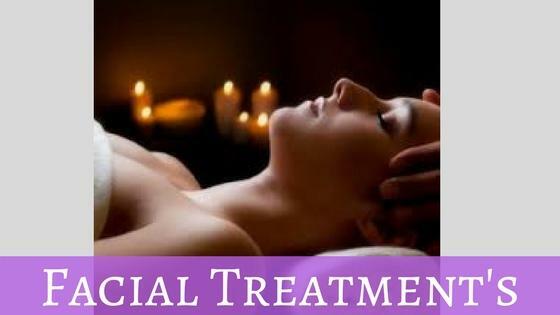 Double Cleanse (lotion, light steam and soft brush), double application of enriched firming masque incorporating skin calming frozen beauty globes also accompanied by effleurage massage. Soothing Eponce Renewal Eye treatment. Balancing Toner application and application of medical barrier cream to help heal skins natural barrier. Treatment concludes with Epionce SPF shield. This facial is designed to target specific concerns: eg oily/problem skin will be treated with a pore purifying treatment; clients suffering from light to moderate irregular pigmentation/ dark spots will be treated with a hyperpigmentation treatment. Discuss your concerns with your therapist and we will tailor your treatment accordingly. This is one of the most elaborate,complete facials. It leaves you with cleansed, perfectly balanced skin & a radiant complexion. Customised & recommended for any age, it centres on Yon-Ka's exclusive deep cleansing regimen.In 5 sucessive steps carried out with the utmost care in the oxygenating atmosphere of the 5 Quintessence essential oils, the pure glow of the epidermis is revealed, one step at a time. Is your skin becoming rough & dull or being marked by fine lines? This high performance treatment will quickly help to restore its balance, suppleness & softness. This facial include the powerful softening action of seaweed & fruit extract: 2 refreshing masque's, one including a massage with a fine aronatic mist; plus the application of a soft gel peel with citrus extracts on the hands, to hydrate & exfoliate simultaneously. The Escale Beaute facial was created as the ultimate mini treatment for those with busy schedules & beauty concerns. Whether you're dealing with clogged pores, dry patches or fine lines, your Yonka aesthetician can address & treat your concerns in just half and hour. Our 30 minute Dermalogica Facial is perfect when you are short on time or are looking for a little refresher. This Facial consists of 6 modules customised to your needs to give you amazing fresh skin. All this followed by a decollete & shoulder massage for ultimate relaxation. While skin is the same, men’s skin does have different needs and concerns. This treatment focuses on deep cleansing, smoothing exfoliation, extractions and critical hydration for healthier skin and a fresh appearance.